Pressure cooker is one of the most important kitchen appliances. The most important benefit of using a pressure cooker is that it reduces the cooking time significantly with less fuel consumption. Today’s Pressure cookers are extremely safe and easy to use. Faster cooking times, since the temperature of your cooker is higher than in normal cooking. More nutrients remain in the food because the cooking time is shorter, and fewer healthy vitamins and minerals are boiled away with the water. Pressure cooker now days are quite safe to cook with as they come with a number of safety features. If you are buying a pressure cooker, make sure it is not an older design as they may lack some safety features. Look for a pressure cooker with an ISI mark. When buying a pressure cooker, keep the size of your family in mind – a 5-litre cooker will suffice for a family of four. Some of the benefits like faster cooking time and less consumption of energy are possible only when the build of the cooker is good. The base of the cooker should be such that it allows even distribution of heat. Solid handles are a must as the pressure cooker will be very hot. Look for one long handle with a shorter helper handle on the other side of the pot. The Handles should be firm, made up of anti-slippery material for firm grip. Brand is also an important factor while choosing to buy a pressure cooker. Choose a brand that has been in business for many years and a brand whose spare parts are easily available. 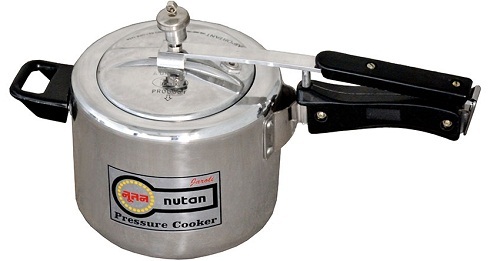 Below are the list of top 10 Best & trusted Pressure cooker manufacturers in India. This is one of the known brands in India, they produce various types of cookers designed and developed by hydrollic Presses inner ring, which are durable and comes with a warranty. 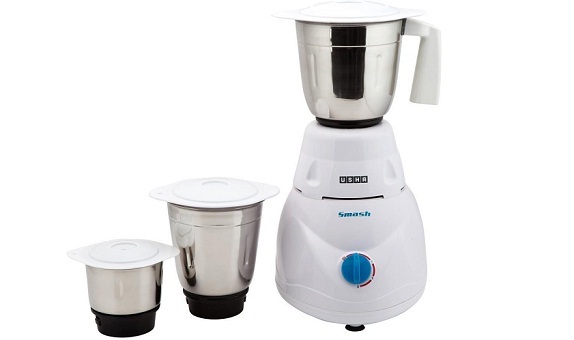 The price of three litre pressure cooker is 1699 rupees. This group is first in India to introduce stainless steel pressure cookers. They are available with heavy, encapsulated, three ply Unique Aluminium Thermal Base that avoid burning food. The price of the 5 litre cooker is 2,100 rupees. 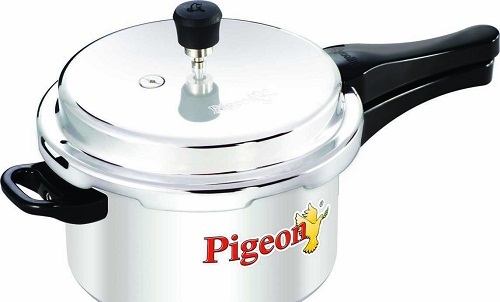 Pigeon is one of the leading brands in India. 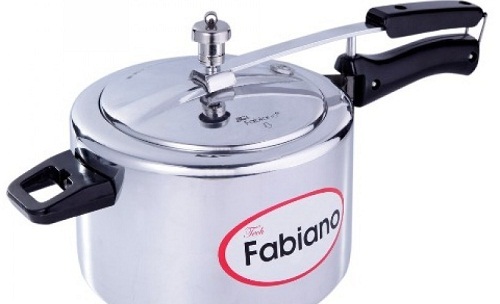 The pressure cooker is made with high grade virgin aluminium. A gasket release system and a gasket release vent system for advanced safety. It is available in various capacities and shapes both. The price of a three litre pressure cooker is 685 rupees. This a leading brand in India and abroad as well, the cooker comes with induction based aluminium that absorbs more heat and fuel efficient. They are very durable and come with a warranty. A three litre pressure cooker model costs 1000 rupees. 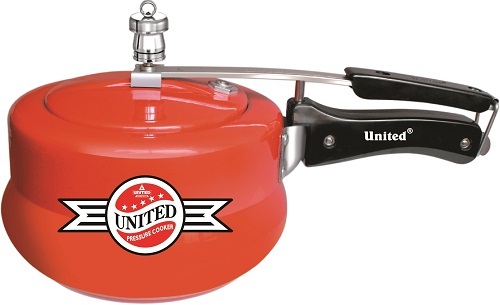 United pressure cookers are next in our list. They present a safe and economic option to the modern household. The cookers have been accredited by ISI etc.,they have a warranty of 60 months. All the cookers are tested before selling and they airm at satisfying the customers by giving them the best quality products. A three litre pressure cooker model costs 1178 rupees. 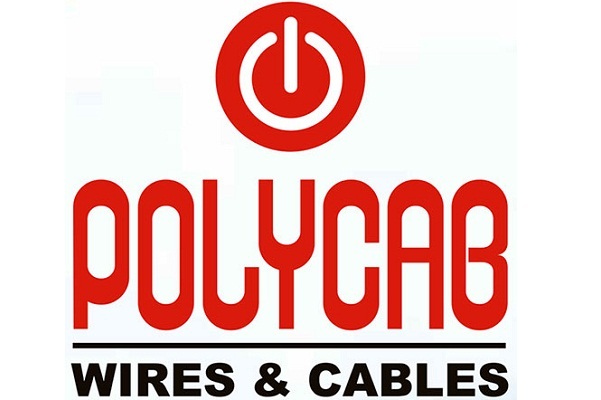 This brand came into existence in and has a wide range of 180 products. 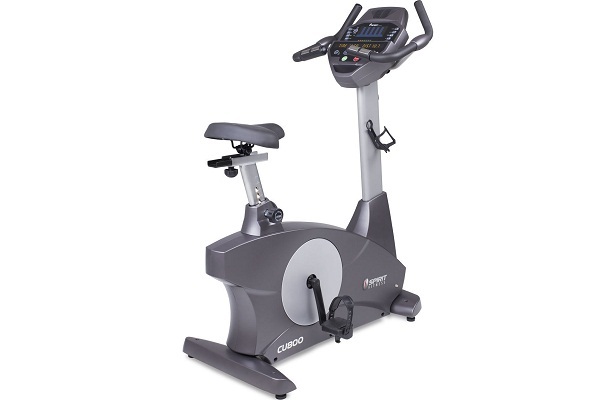 The notable attraction on their products is the high quality at low price and the after sales service. 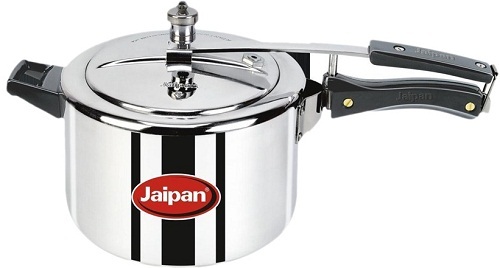 The Jaipan cooker is made of aluminum.The gasket release system and safety plug makes the cooker safe and easy to cook. A five litre pressure cooker costs 999 rupees. This is one of the trusted pressure cooker brands in India. 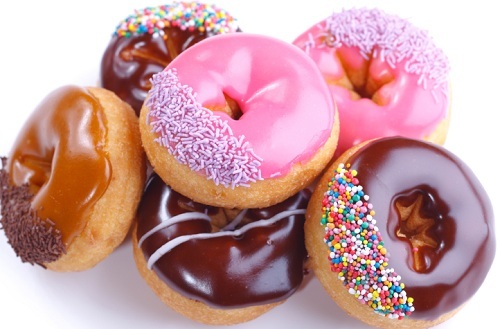 Their products are safe and certified by Underwriters Laboratory, Bureau of Indian Standards and Common European. The cooker is highly polished stainless steel for good looks and durability. It has even heat distribution and retention for energy efficient cooking. The pressure cooker has 5 years of warranty. 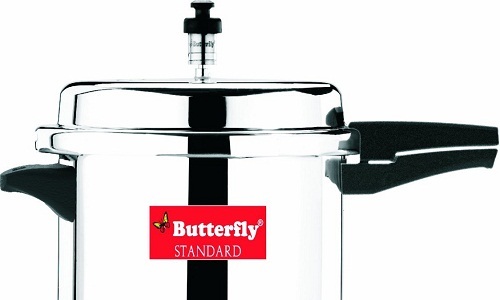 A 3 litre pressur cooker costs around 1,848.75 rupees. 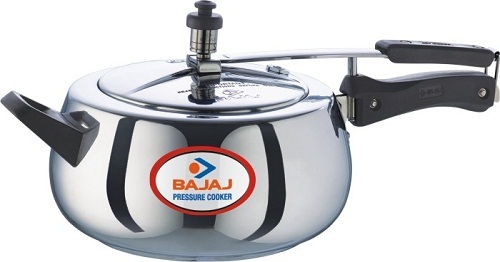 Bajaj is the third best pressure cooker brand in India.Being in the industry for the past 21 years gives them the advantage of knowing the Indian market and customer with care. 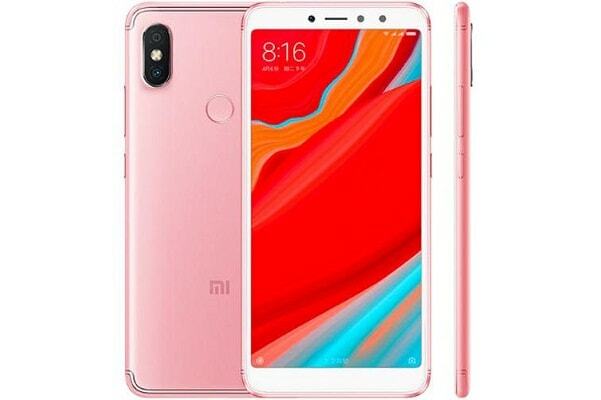 Their team of engineers,Developers are trained to give best quality products.They excel in making many home applicances and is preferred by many people. The pressure cookers are available in steel and aluminium variants and are quite durable.A three litre pressure cooker’s price is 1120 rupees. 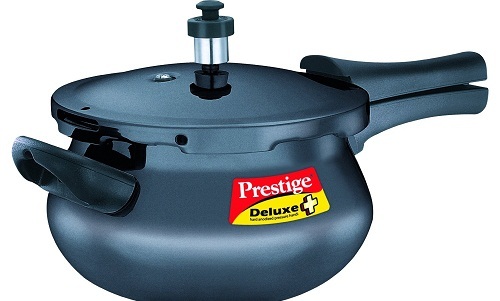 The Company proudly says ‘No one knows more about pressure cookers than prestige’. Their origins of pressure cooking and been helped in their development for many years. Prestige pressure cookers are a versatile kitchen tool, offering safe, fast and healthy way of preparing a wide variety of foods. They save on both time and energy by cooking ingredients in one third of their cooking time. A 5 litre pressure cooker costs around 1080 rupees. This Company is incorporated in the year 1959. Each cooker made by them has an inside fitting lid, to open this kind of cooker the lid has to be first lowered into the body of the cooker, this cannot be done unless the pressure inside the cooker has come to a safe level. Thus Hawkins pressure cookers are pressure locked for safety. 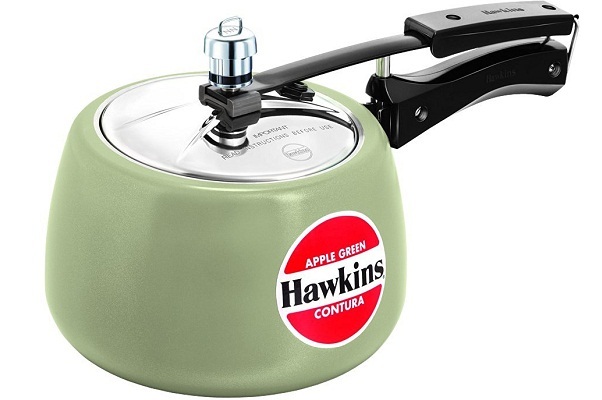 Hawkins has 73 different pressure cooker models in twelve different types. A 3 litre pressure cooker costs 1900 rupees.